August | 2013 | The Bottom Line "The Drawing Center"
Harold Mendez, I'm not always fitting (Portrait for Nobody (left); Portrait for Braille Teeth (right)), 2012. 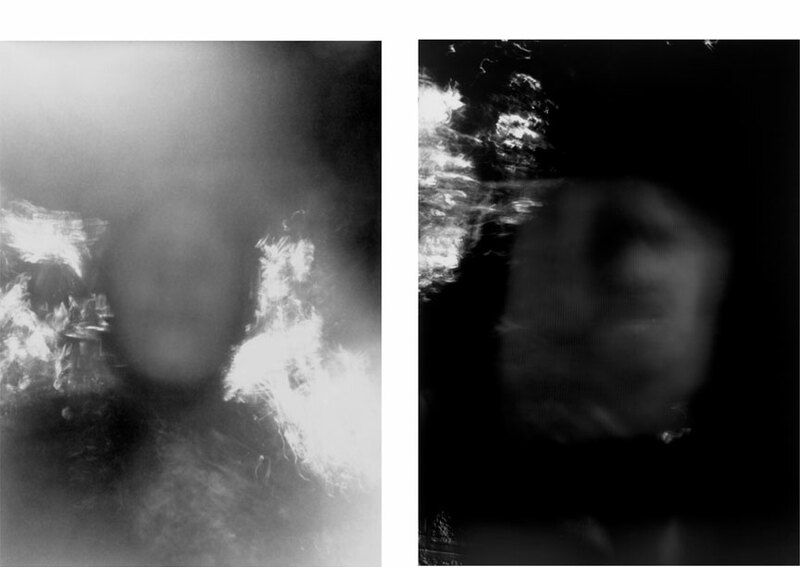 Diptych of chemically altered and processed pinhole negative paper prints, exposed from reflective mylar, 50 x 38 inches each. Image courtesy of the artist. 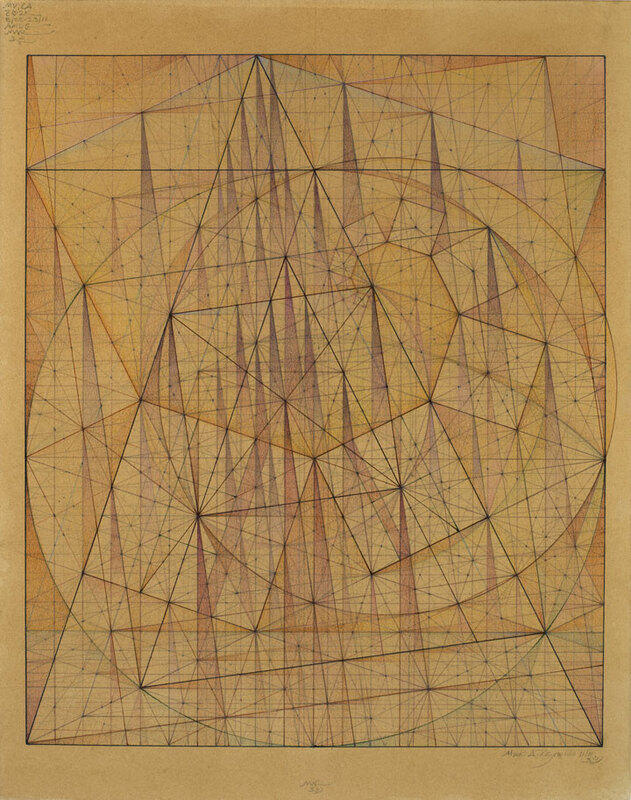 Mark Reynolds, Minor Third Series: Ode to Klee and Cathedrals, 2011. Graphite, ink, colored pencil, and pastel on tea-stained cotton paper, 14 x 11 inches. Image courtesy of the artist. 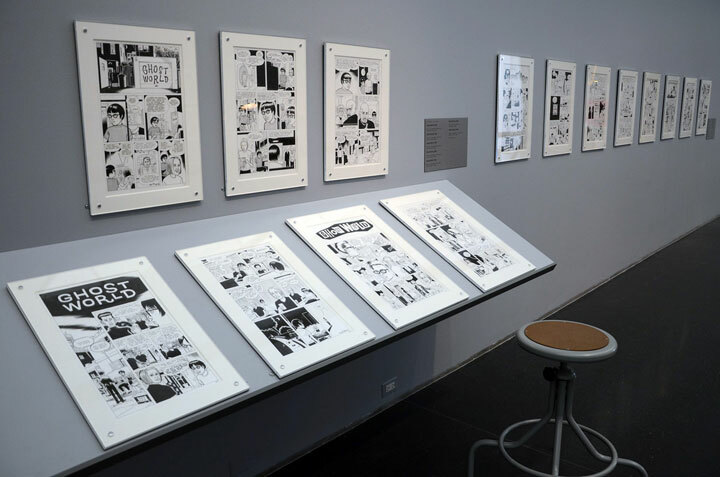 Curatorial Intern Elizabeth Gambal talks with California-based artist Mark Reynolds about the mathematical processes behind his drawings. Elizabeth Gambal: Your drawings incorporate graph-like forms and interconnected geometric shapes. Leigh Wells, Deception (11.10.08), 2011. 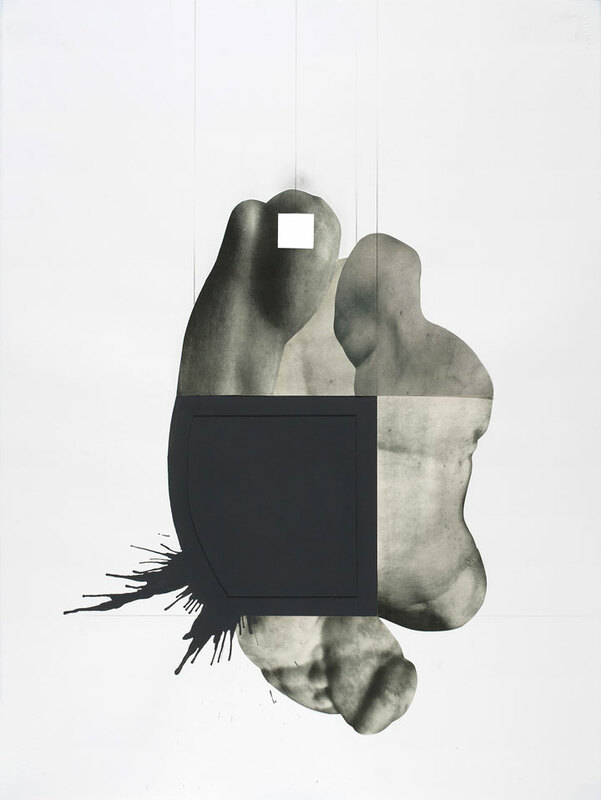 Collage, graphite, and mixed media on paper, 30 x 22 inches. Image courtesy of the artist.